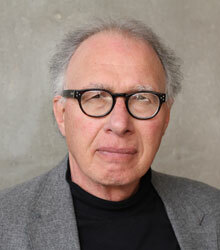 Alf Simon is the Director of Landscape Architecture at the University of New Mexico. He holds a Master of Landscape Architecture from the University of Manitoba in Canada, and a Ph.D. in Geography from Arizona State University. He was a faculty member at the University of Manitoba, in Canada, from 1990 to 2000 and came to the School of Architecture and Planning at The University of New Mexico in August,2000 to start a new graduate Landscape Architecture Program. Alf was also a principal of Llewellin Simon Associates, a Landscape Architecture and Architecture office. He is a Fellow of the Canadian Society of Landscape Architects, has served on the CSLA Board of Governors and is a Past President of the Council of Educators in Landscape Architecture (CELA).